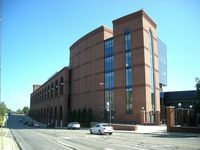 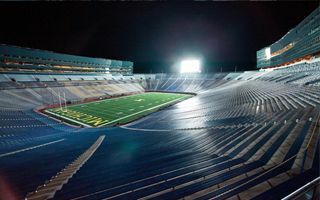 Decision to build a new stadium for University of Michigan Athletics came in mid-1926 and works on Fielding Yost’s vision began in the following months. 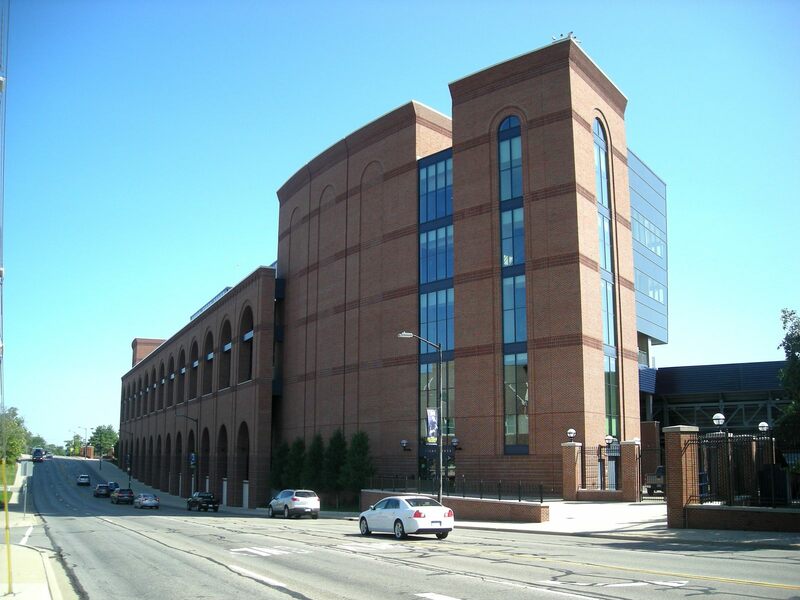 Or not exactly on his vision, but what the university’s regents approved of it. 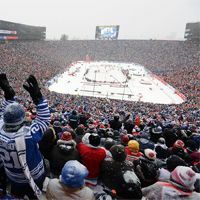 That meant instead of 100,000-150,000 capacity the stadium was to have “only” 72,000 at starting point. 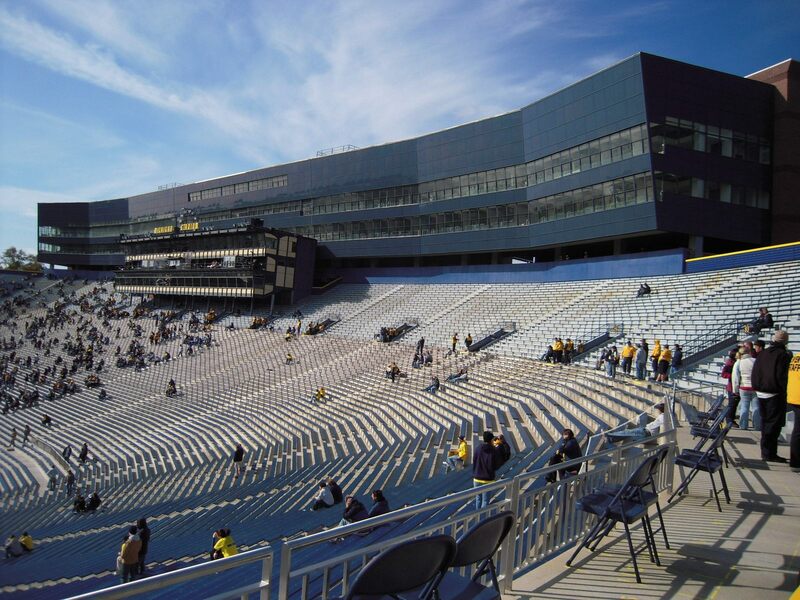 However Yost did manage to add some more rows as the regents later approved temporary wooden rows atop the stadium, meaning the stadium reached 84,400 before opening in 1927. 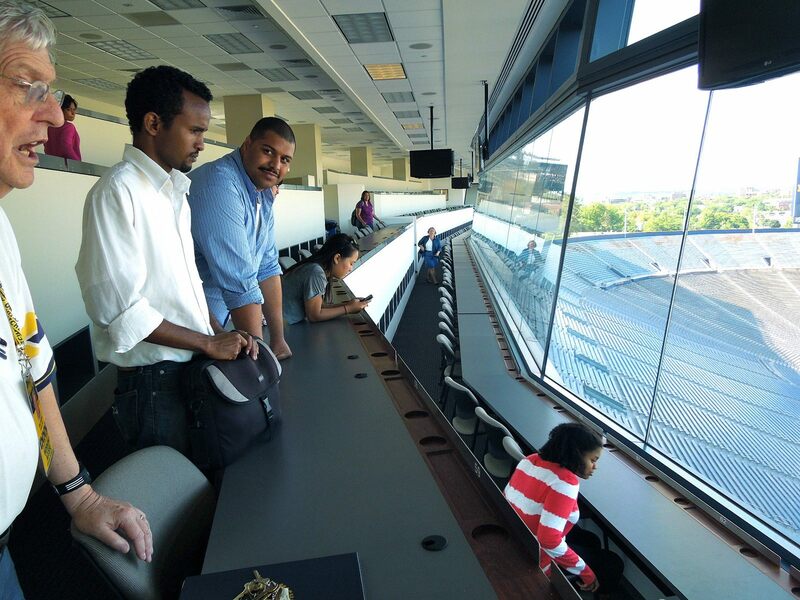 While this stadium was one of the venues inspired by Yale Bowl, it had major differences. 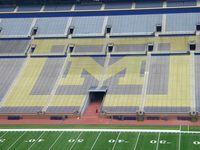 One of them was rectangular bowl shape instead of oval. 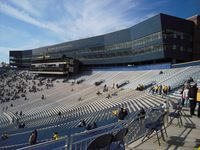 Another: all of the 72 initially planned rows were designed below ground level, creating the largest sunken bowl of that time. 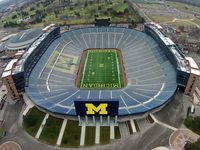 Interestingly, underground spring running under the stadium caused major problems with water level and caused one crane to sink into quicksand. 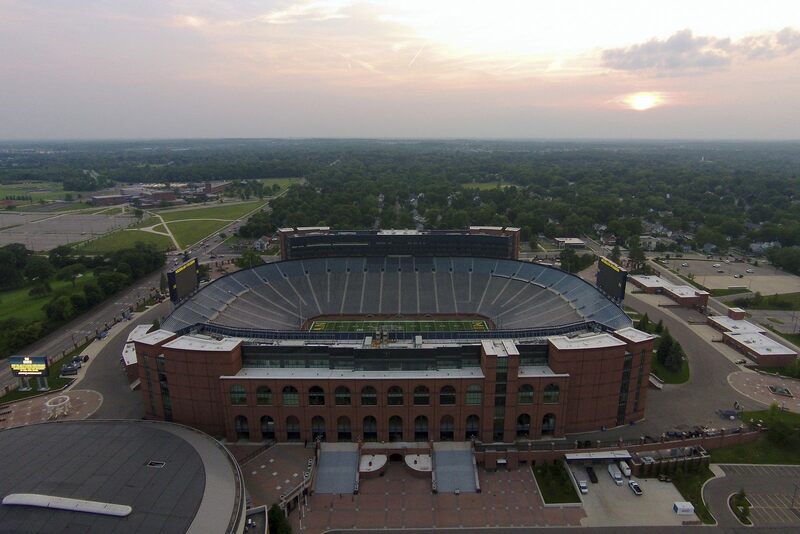 That crane rests under the field to this day. 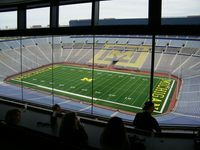 Financed privately by the university (3,000 bonds), the stadium had cost $950,000 before opening, but went thought numerous renovation works gradually. 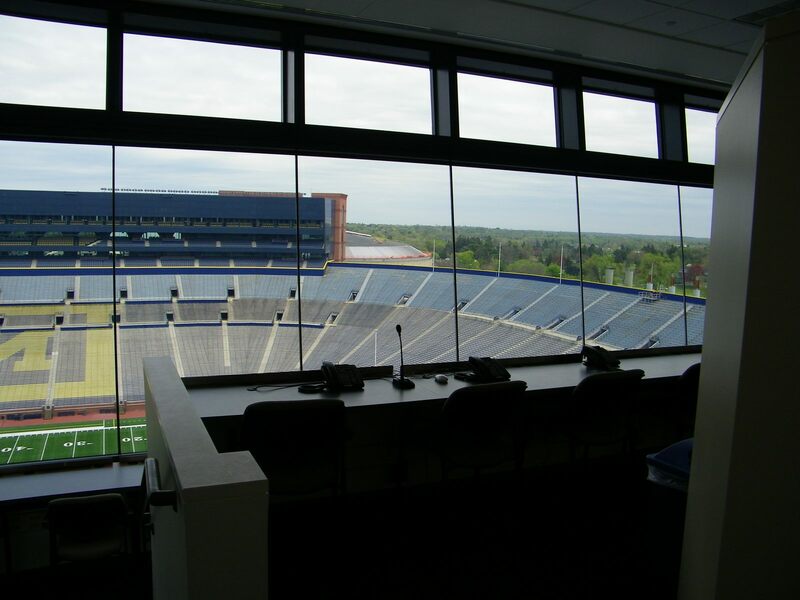 In 1930 it became the first one in the USA to show time with an electronic scoreboard. 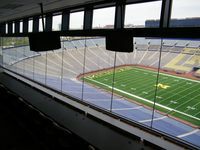 As years passed further rows were added on a steel frame and in 1956, after a press box was added, the building finally reached Yost’s dream of 100,000 capacity. 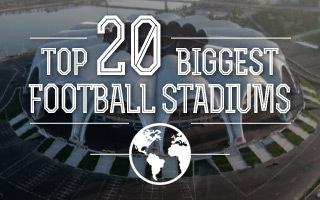 The largest redevelopment to date came quite recently and began in 2006. 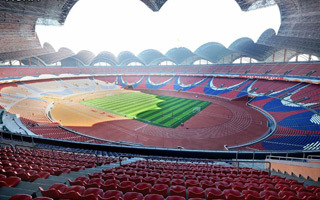 Two large pavilions on west and east sides of the stadium were built, raising capacity to nearly 110,000. What they also raise is commercial potential of the stadium which since then offers premium corporate hospitality and media zones worth a total of $226 million. 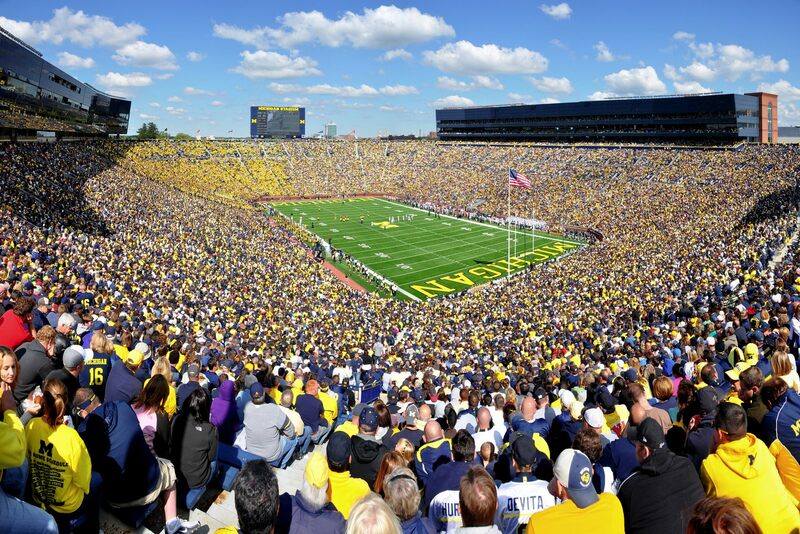 Immense scale of this stadium and demand for games in it is perhaps best shown by the unbelievable streak of games with over 100,000 people. 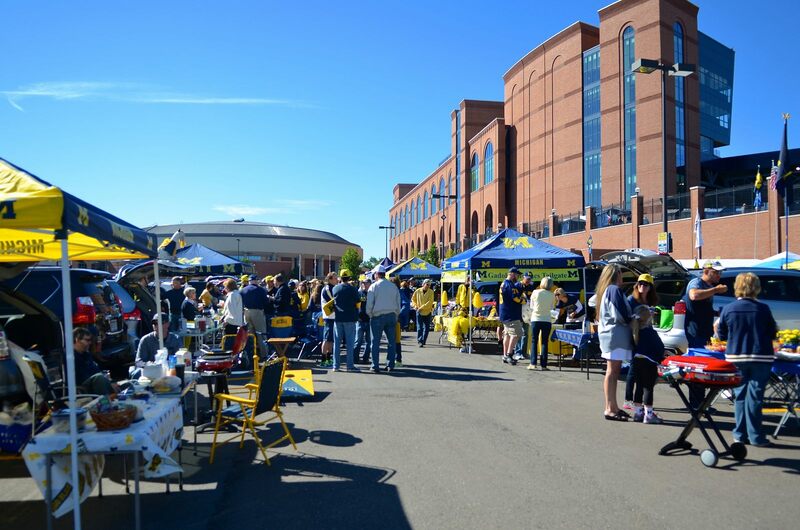 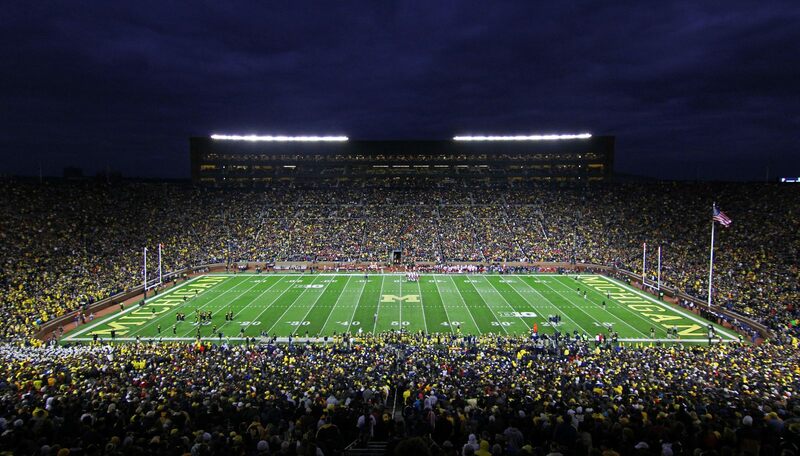 Since November 1975 there was no game with audience smaller than that, meaning almost 300 games for the Wolverines. 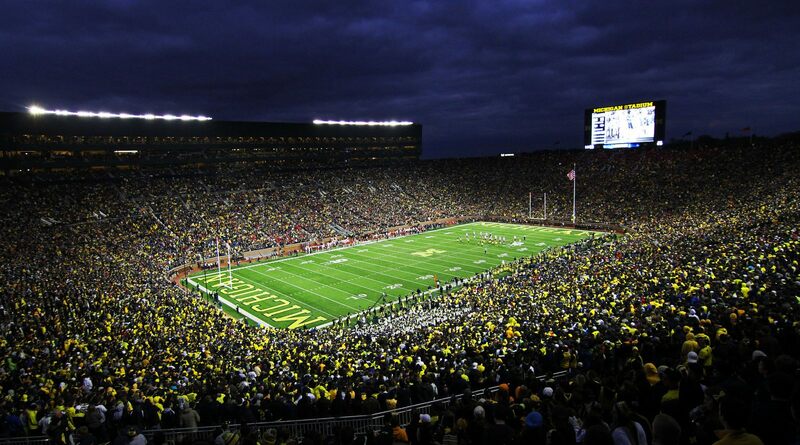 As if this wasn’t enough, in 2013 the stadium broke all-time record for any NCAA and NFL game. 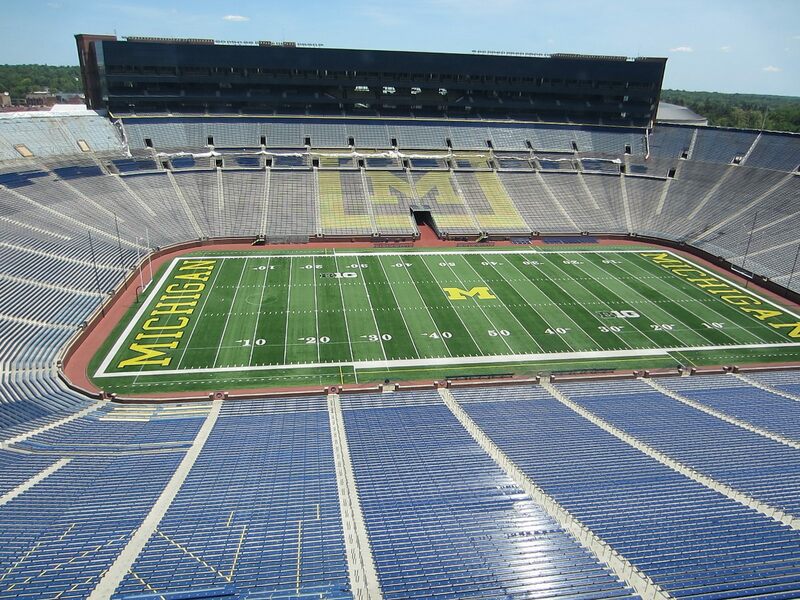 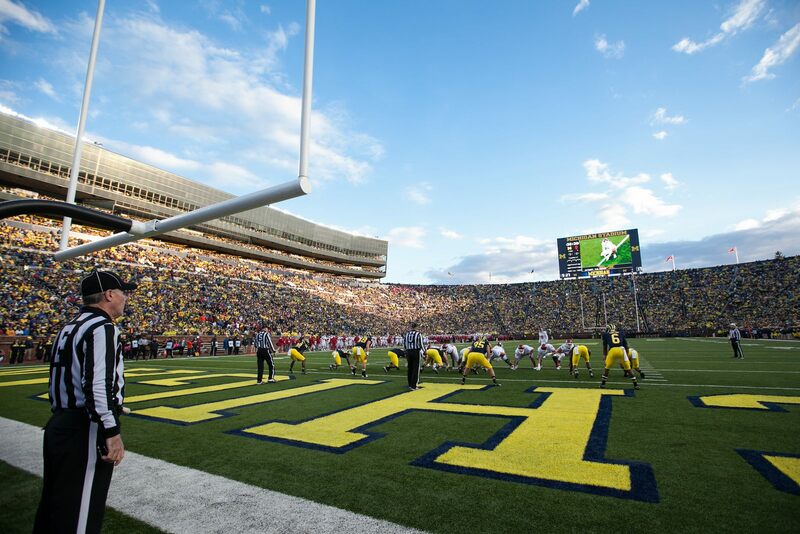 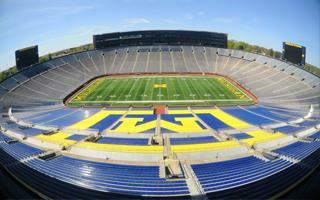 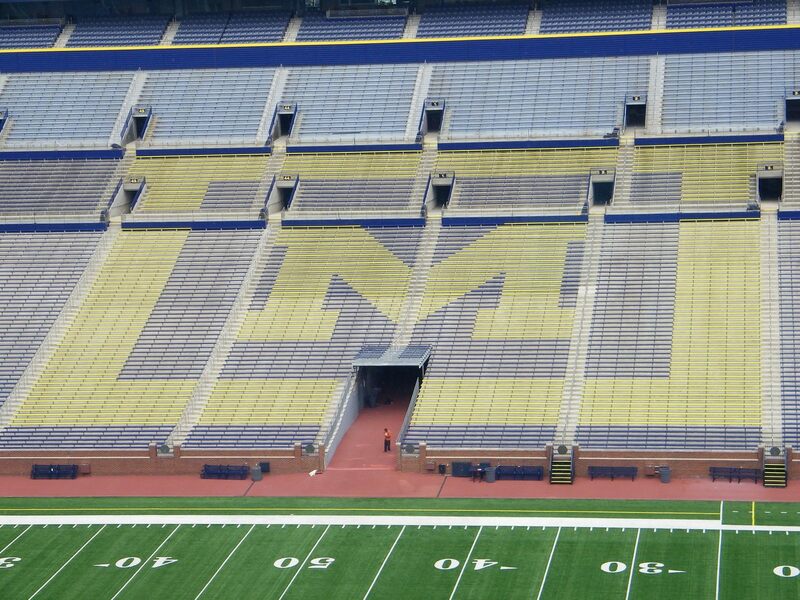 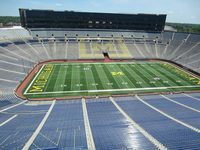 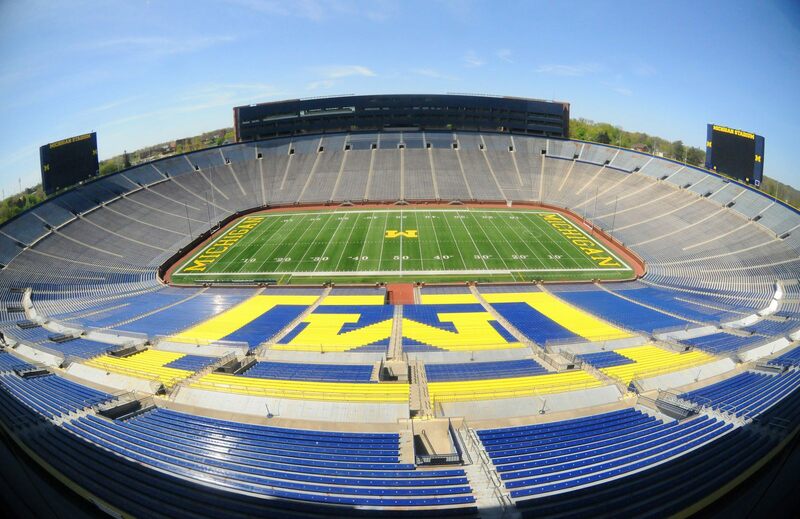 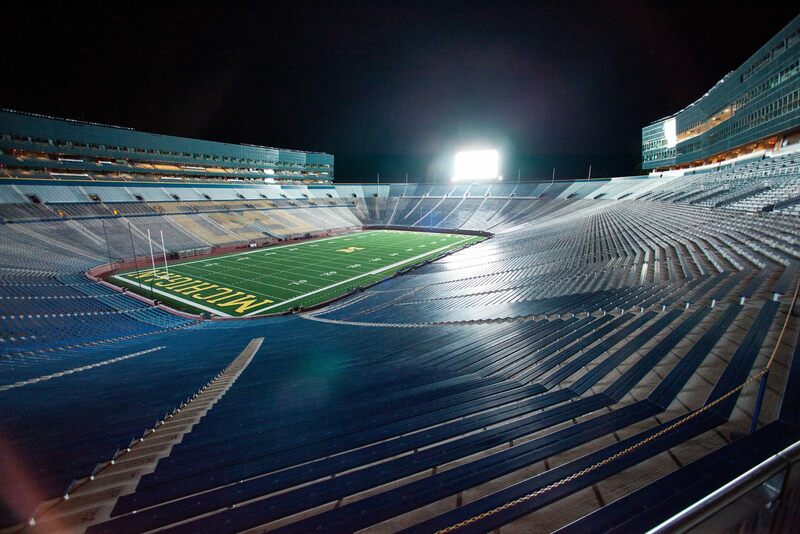 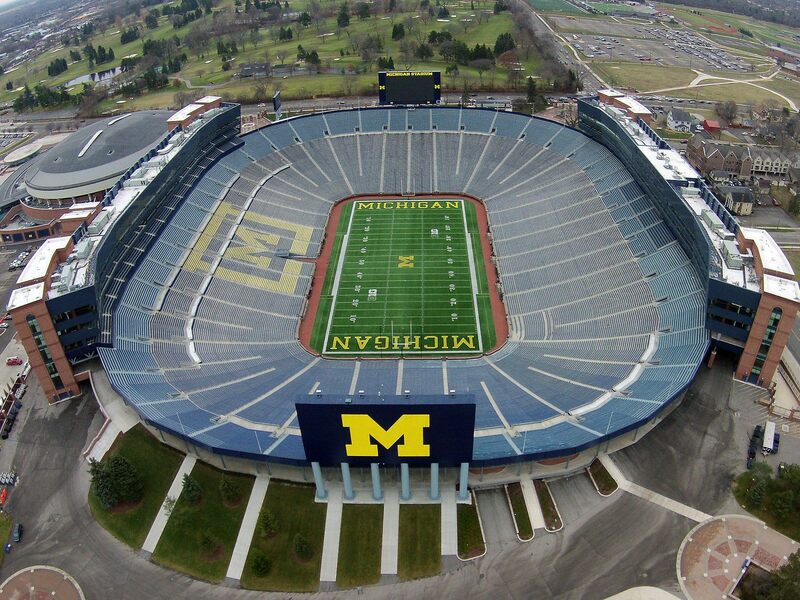 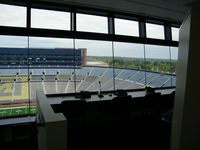 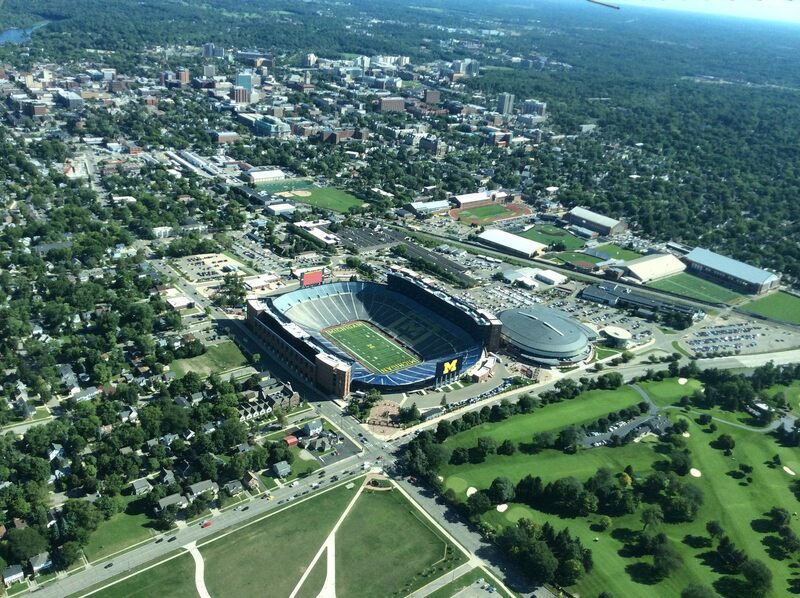 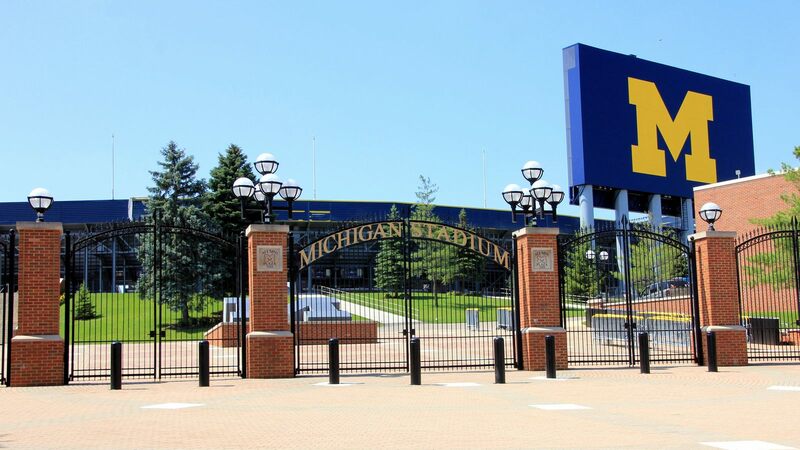 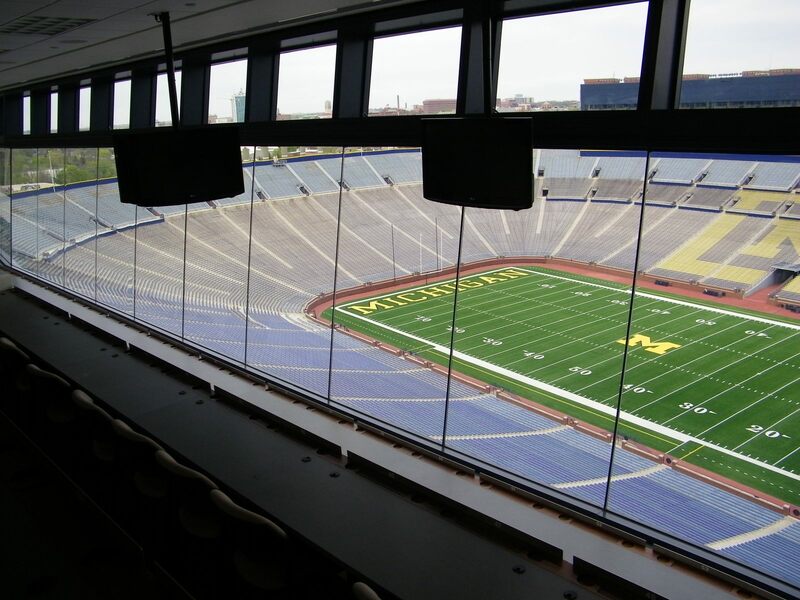 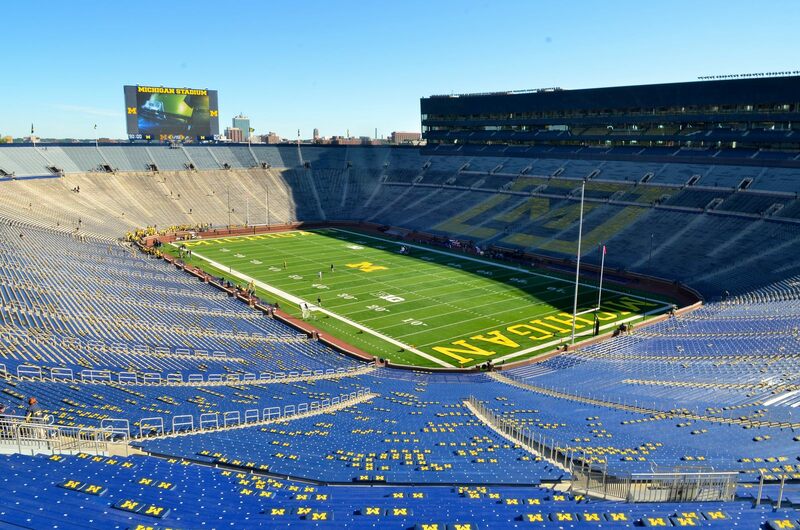 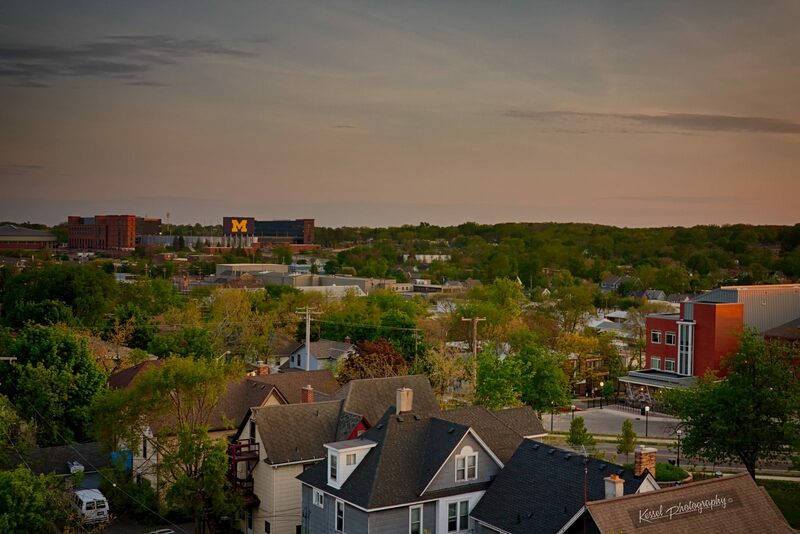 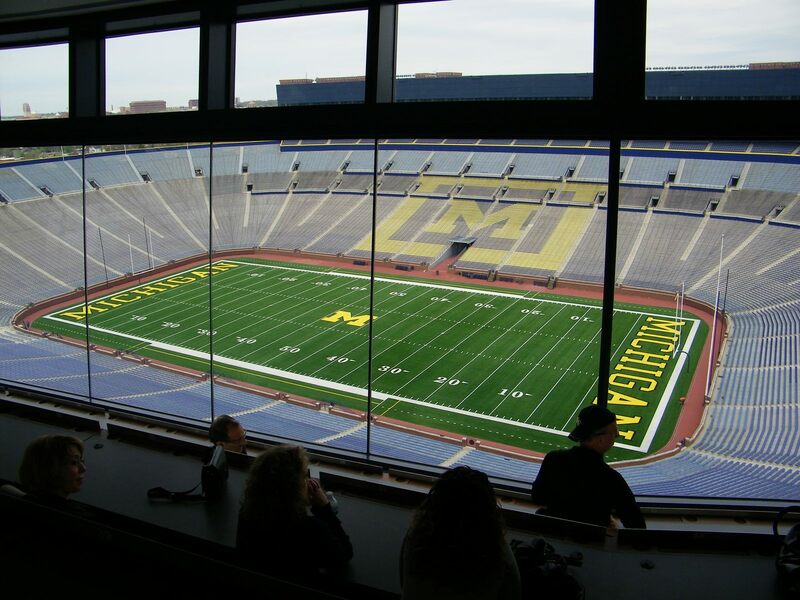 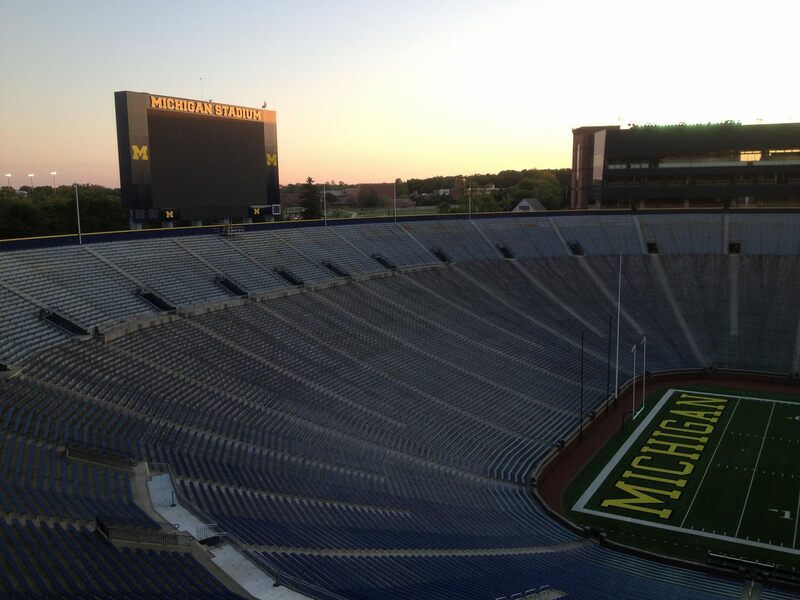 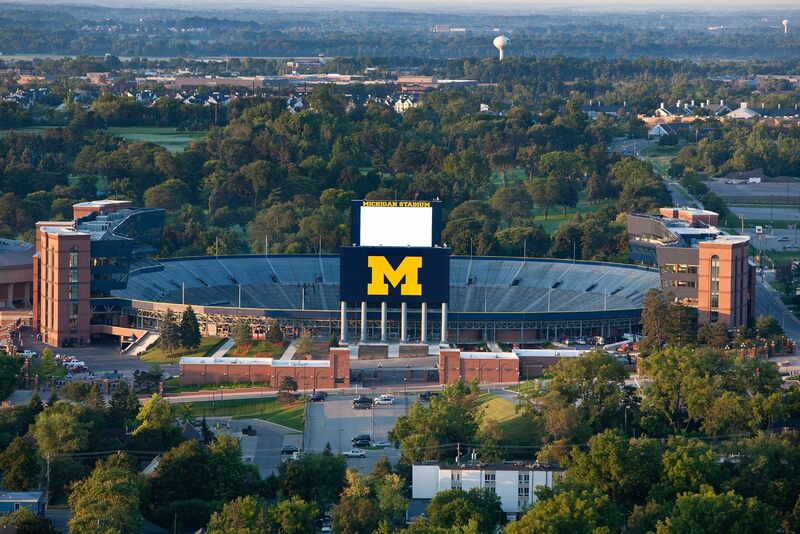 Does anyone wonder why its nickname is The Big House?